Love is in the air in Georgia…and Tennessee! We were so excited to serve Kimberly and Tyree. Although this couple resides in Nashville, TN, we were able to make all of their papered dreams come true! 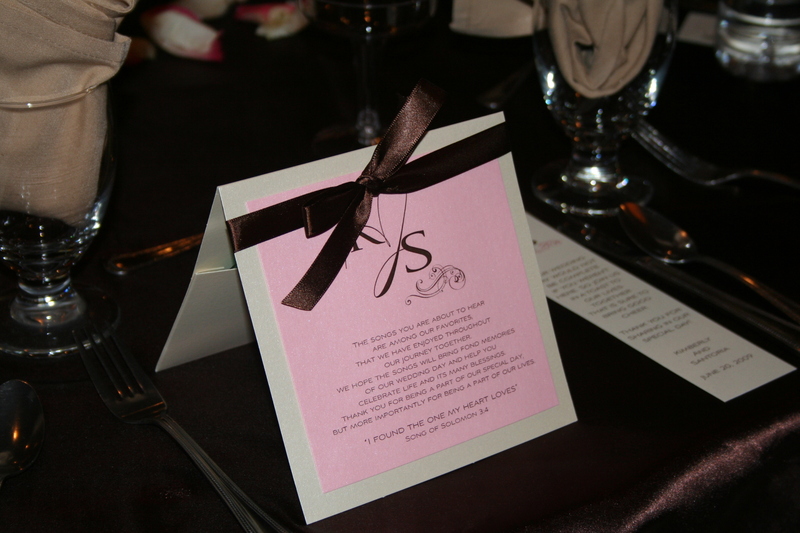 For the invitation, the bride selected a 5×5 chocolate pocketfold with ivory and pink accents. The invitations helped to set the tone for the elegant affair that would take place on June 20. The program was a sophisticated bi-fold that was enclosed in a chocolate satin ribbon. 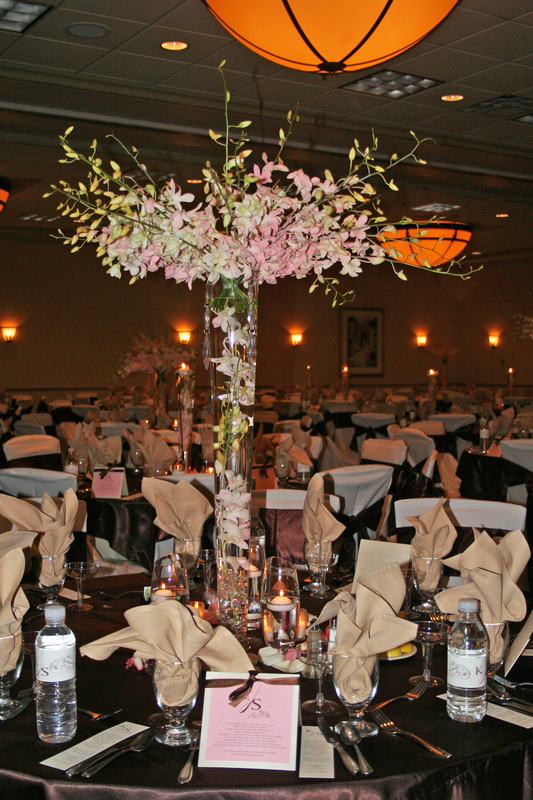 For the reception, we provided menu cards, table tents, bookmarks, and to top it all off, cd favors for the guests! Everyone will be able to relive the memory of the night every time they listen to the happy couple’s favorite songs. The couple provided the colors and the beauty of their love, we simply provided the paper and the wonder! Custom menu card/CD favors designed by PWI. 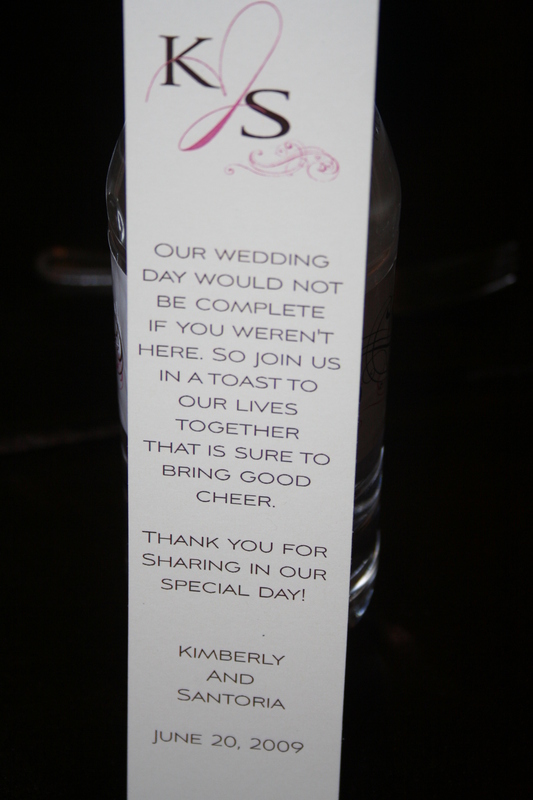 Bookmark Thank You Favors designed by PWI. Pictures courtesy of the extraordinary Rhonda Patton Designs. Thanks Rhonda! ← So Many Ways to Say Thanks! Will be working with Rhonda in Oct. and we can’t wait to work with you.